Lori Lipten M.A. is a globally revered, heart-centered, shamanic medium who serves clients on all inhabited continents of the world. 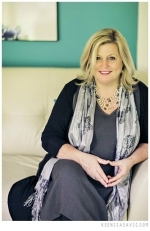 As a clinical psychologist turned shamanic healer and medium, this best-selling author, retreat leader, teacher and intuitive guide leads sold out events to bring uplifting, accurate and compassionately healing messages from Spirit to those in her audiences. Lori is known for capturing the essence of loved one's in spirit while communicating truly accurate messages from the world of Spirit, angels and guides. Her gifts extend to accessing the Akashic Records for in-depth insights about one's soul purpose, lessons and past-lives. Lori's clients come from all walks of life including high level executives, celebrities, CEO's, renowned mediums and every-day individuals ready for healing and growth. As a child, Lori Lipten had past-life recall and knew her soul's purpose, announcing that she had “come to the earth to teach the world to love more”. Throughout her life, she had prophetic dreams, clairvoyant visions and profound encounters with angels that shaped the course of her life. While pursuing her graduate degree in clinical psychology, Lori's guiding angels strongly urged her to refrain from obtaining her doctorate and pursue intuitive and shamanic development and service. After earning her Masters in clinical and humanistic psychology with honors and being accepted into the doctoral program, Lori began serving as a medium and studying with shaman elders around the globe. Loris down-to-earth approach and strong ethical foundation has led to her reputation as a leading medium and shamanic healing force and teacher to the thousands of clients and students around the world. - Founder of Sacred Balance Academy and Healing Center, located in Bloomfield Hills, Michigan. - Creator and teacher of the Intuitive Practitioners Certification™ Program, the Inspired Heart™ Programs. She has trained and certified thousands of individuals to embrace their intuition and live heart-centered, soulful lives. - Teacher of shamanic practices and Soul Retrieval Training;and uniquely empowering psychic development, shamanic and energy healing methods. - A contributing author to the international best-selling book "Breakthrough for Business Strategies" available on Amazon.com. Lori's first individually authored book, Soul Journey: The Exploration of Birth, Life and After-Life and her Intuitive Mastery Oracle Cards are due out in spring of 2017. Lori also creates unique meditation audios using her husband's (a professional composer) unique sound-technology to promote deeper relaxation, healing and intuitive development. She is a wife and mother of a teenage daughter who is devoted to bringing as much love and healing into the world through her all of her offerings and life. Lori is a blessing on earth. I met her while on retreat. She astounded us with readings for everyone, mine was perfect for me. My grandmother came through and I have no doubt that it was her. Another reading 9 months later was a private reading, my mother and others came through. It was like having a conversation with each of them. Before I met Lori I went to someone else and it was like a puzzle, seeing through fog. With Lori everything is crystal clear! Don't hesitate! I saw Lori after hearing her name from so many different people. She was unbelievable. She was spot on. I felt comfort and peace after my session. I cannot recommend Lori enough. She truly has a gift. I have been going to Lori for about 10 years. She is so accurate in her predictions it is almost scary when they really happen. The first time I went to her, she relayed messages to me from my mom 2Zbthat only my mom would know. I walked away so happy because I felt like mom was right in the room with me and talking to me. She knew the different situations that were going on with my family. Lori is just amazing! Lori is an angel among us. I have received multiple readings from Lori over the last 15 years. Lori has such a calming, loving energy. I enjoy just being with her. Lori has such amazing gifts and abilities in relaying loving messages from my family who have passed into spirit. Lori has extensive experience as a therapist and is able to draw on those skills to comfort clients during difficult moments. Her accuracy is unmatched. Highly recommend! Absolutely love her! You will, too! Meeting Lori was life changing for me. I have lost several family members and she has brought messages to me from love ones that helped me through the grieving process and self awareness. She guided my nephew to the light after he committed suicide and was lost. When I became President of Women's Council of Realtor's Lori was our special guest speaker and wowed all the members. I have taken a few of Lori's workshops and amazed everytime. I have recommended her to several of my friends.True gift! When I think of Lori Lipten I think of love and light in the highest! I had my first reading with Lori about 15 years ago. A good friend of mine received a reading and had such a life altering experience I felt moved to meet this person. I had lost my Mother to suicide when I was 9 years old and would hope she would come through and she did with flying colors! I was so blessed by the reading as Lori was so comforting and gifted. i later mastered the art of manifestation thanks to Lori! Love! Shortly after my mother passed away, a saw a flyer advertising an audience reading at a local library with Lori Lipten. I didn't know Lori but for $45., and close to home, I decided to sign up. To my surprise, Lori gave readings to most of the 50 people there, including me. The things she told me were very personal and convinced me that she had made a connection with, not only my mom, but my dad too. I attended another audience reading and 2 small group readings since then. Call Lori! I have the utmost respect for Lori's services. I was unsure what to expect, and Lori's insights from the Spirit world were amazing. She was warm, professional, and caring. I have already recommended her to others, and look forward to meeting with her again. If you are looking for a medium and a true person that upholds holds highest regard for the human spirit, the Divive– your soul, start with Lori Lipten. She is the real thing. Over a 6 year span, we've shared guidance & healing from Divine on some deeply personal topics. Her greatest gift is that she cares – truly cares, about your spirit – your soul and allowing you to see your highest Divine potential– helping you remember your Divine purpose. And, she does all this with love. Lori is a very gifted psychic. She has a warm, loving, authentic presence that put me right at ease. The things she knew about my deceased friends and relatives were spot on. The messages that she imparted to me from them were very comforting and specific. She was also able to tune in to my children and grandchildren and husband and their unique personalities and issues. She was spot on with me and my issues and her guidance was awesome. She is without question the best psychic I have been to. I'm reluctant to write this because I don't believe I can eloquently describe how much Lori has helped my in my life's journey. Lori's approach comes from love it's very relatable and caring. I felt safe and comforted when I was with her and her words still guide me today. When someone follows their souls journey you can feel it and see it. Lori is a kind giving person who puts love first and that message is carried through her readings. So incredibly grateful to have gone to see her when I did. Life changing. These are the words I would use to describe the readings I have had with Lori. She has an amazing ability to connect with spirit, with your guides and give messages from loved ones that have passed. Her intent is always for your souls highest good. Lori has truly helped me through many of my life challenges and given me insight into my own truth. She is a gifted intuitive and my soul is better for knowing her. I love Lori Lipten, She has been a guide and mentor for me for so long and has helped me through some real rough times, while en route to reaching my full potential, while encouraging me the whole time. It takes a village and there are not many as gifted as Lori to see things from higher perspectives without judgement to have on your side. I contacted Lori for a session with me and my daughter. I have had a fair amount of loss in my life and unfinished business with my father. As soon as we sat down Lori was conveying what she 'heard'. Her assessments were right on. I was amazed. This session helped me immensely and helped my daughter as well. We had both been missing my mother and it was so good to hear her words as well. I am grateful to Lori for giving us this opportunity. Lori Lipten is one of the most gifted medium, healer & teachers I have ever known. My first session with her, almost a decade ago, was life changing. She connected me with my mom, which was very cathartic & healing, as well as my angels & guides. She helped me to see my true potential, which, in turn, empowered me to follow my own guidance in my career & other life decisions. I know Lori to be of high integrity & pure intentions, & would highly recommend her for any services you need. I have been in one of Lori's workshops and some group readings. She is genuine. Everything comes from her heart. She is beautiful and her beauty really shines in her gifts and her use of them to help others, to inform others, tho help others grow. My father passed away 3 years ago and when I sat down with Lori, it was as if he was in the room with me. I've gone to psychics for many years, and she is truly the "real thing". She connects with the spirits. Every time I leave, I know that my father is truly still with us and is and guiding us. Lori is not only a wonderful human being, but her ability to connect with those that have passed is incredible. I'll never go to anyone else have sent non-believers to her who NOW believe! Lori is amazing, insightful and the most gifted psychic I've ever encountered. I have received personal readings with Lori and experienced a group retreat in Sedona several years ago. She is the best. I have had the pleasure of attending large and small group readings with Lori. The last, just weeks after my father passed. Lori embraces humor and sensitivity in her readings and the room is filled with loving messages from our loved ones. She was very accurate in her descriptions of my father and we are ecstatic to hear he is alright. My mom, sister, and I left feeling comforted and look forward to future readings with Lori. I visited Lori after my Dad died. The comfort and hope I received from his messages is hard to describe. It was so obviously him. I also visited again for direction about my soul purpose. It caused a great shift in my life as far as giving me a clear idea of where my life has so many possibilities. I also went for a soul retrieval , life changing! It lifted so much pain and raised my self esteem. I felt lighter and in touch with a spiritual side I had not felt ever before. Lori is exceptional. The reading I had with Lori Lipten:best money I have EVER spent. I was feeling very sad over the death of my sister & Lori was able to give me hope & healing. It was like having a balm put on my fourth degree burned soul. Her reading was accurate, detailed, healing and unbelievably helpful. I feel hope and I'm interested in life again. I'm so very grateful for the messages from my loved ones that Lori brought to me. She is a gifted medium; I highly recommend her to anyone suffering. Lori Lipten is an incredibly amazing shamanic medium and gifted intuitive practitioner. Her practice is very heart centered, kind, compassionate and deeply healing. I felt refreshed and empowered after her reading she gave over the phone. There was no way she could have known the things she was able to relay. The reading was very authentic, real, & flowed confidently and accurately. She is brilliant in her gift. She helped me connect the dots emotionally with my dad. I will be forever grateful. I first booked a reading with Lori after hearing many wonderful reviews from friends. Nothing could have prepared me for how special and talented she is. I have enjoyed all of my readings and my soul retrieval with Lori and look so forward to attending her virtual workshops in the future. While I have been read by other talented mediums, Lori's compassionate and light hearted delivery makes this an entirely new and special experience. For healing, guidance and connection with spirit, Lori is it! Lori is amazing; she has a gift few possess. I have done private readings with her many times since my twin sister died tragically 15 years ago. My sister provides messages and information so private there would be no way Lori could channel her spirit if she were not the real deal. I cannot remember all the details today about these sessions, but I always felt connected to a greater power, plus I got a sense of comfort and inner peace.